About a year and a half ago I received an email about this now cob web log from Phil Gadke, the son of one of the current owners of my parents appliance store, Weygant’s Appliance. I don’t know what has kept me from replying to Phil’s email. Maybe I just wasn’t ready write about it, or just couldn’t get my thoughts together until now. Phil asked several questions about the origins of the store and I think I’ve got my story straight. The hardest part of writing the history of my parents store is figuring out where to start. My dad, Bob Weygant, attended the Milwaukee School of Engineering in the 30s and studied refrigeration. A side story about my dad while going to MSOE was that during the first summer break from school he installed an improvised air conditioning system in my grandparents house by pumping water from the well through a radiator he put in the forced air furnace. After MSOE he got a job selling and installing refrigerated display cases through out the Midwest. After a while of doing that he got a job with the RC cola company in Rockford installing and fixing soda coolers and dispensing machines. 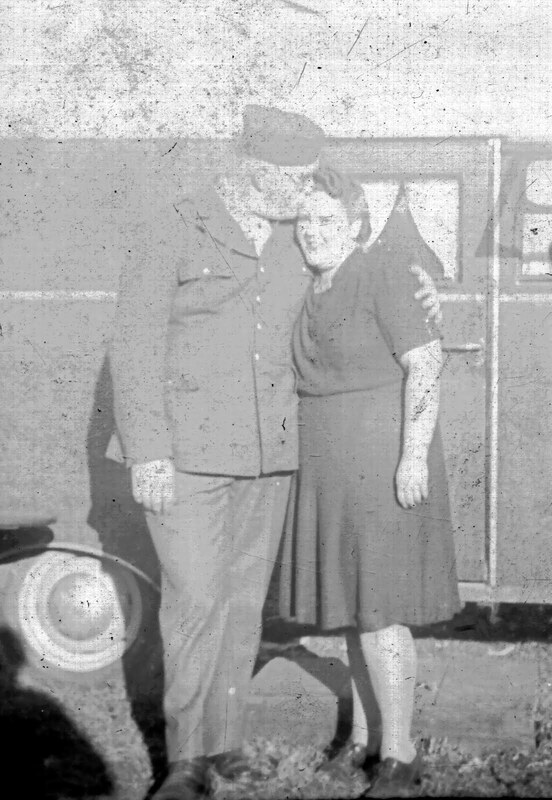 He met my mom in Rockford just before the war and during the war they got married and moved to Camp Douglas in northern Wisconsin where my dad worked for the army Quartermaster Corps as a refrigeration tech. After the war my dad and my mom moved back to Platteville where my grandpa helped them buy a hardware store and building on the south end of main street. While there I was born. At some point the hardware store wasn’t doing very well and they sold it to Heisers and started Bob Weygant’s Refrigeration, which was the beginning of Weygant’s Appliance. I'm the Supply Chain Manager for Tecnova Electronics, a contract electronics manufacture in the far northern Chicago suburb of Waukegan IL. I'm self taught in the arts of tech, or better put my brain was wired for this stuff at an early age. My parents had an appliance store and growing up, pre OSHA, rather than have my mom stay at home with me or pay for day care, which really didn't exist in rural Wisconsin back then, my pop put my play pen in the shop next to what ever gadget he was working on and kept his tools in my pen, Oh Boy would child protection have a ball with that now a days. I'm told I knew the difference between a Philips head and a flat blade screw driver before I could walk... My work background is in electronics with many years of manufacturing experience from electronics technician, automated material handling equipment technician to manufacturing information systems manager, purchasing manger and most recently supply chain manger.